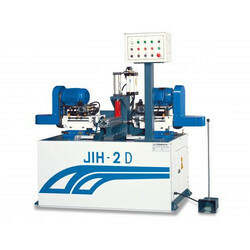 Our product range includes a wide range of jih-170 - copy milling machine, jih-8d - milling machine, jih-250 - hydraulic press, jih-250r - rotary hydraulic press, jih-p4t - four head hydraulic press and jih-2d - double head drilling machine. Spindle Speed 12,000 R.P.M., 12,000 R.P.M. Designed for irregular milling on irregular aluminum door and window frame. 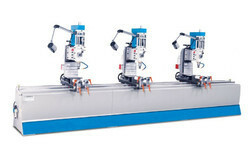 The right level control cross and longitudinal movement of milling head. 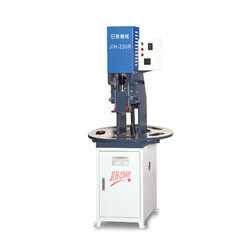 The left level control vertical movement of milling head. Extremely smooth motion allows for effortless milling operations. 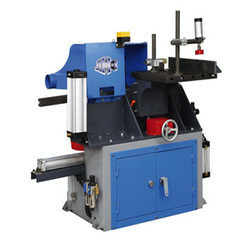 Workpiece clamping is pneumatically operated. Coolant is conveniently controlled by simply pressing a switch on the left level. Oil mist system for cooling the cutter. 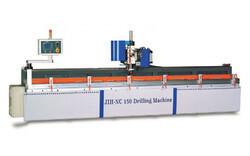 Form No.1 to No.8 all drilling head working simultaneously. 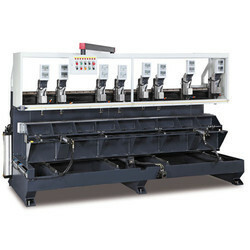 Each head minimum distance is 600 mm. 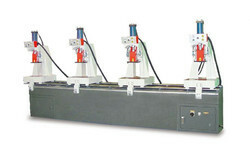 8 sets drilling headd position by manual (LCD display). X axis, Y axis,Z axis adjuct position by manual. Loading material width 150 mm Y-axis storke 150mm. 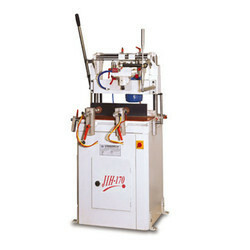 Z-axis oil mist system for tool. 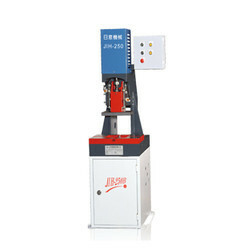 Oil Pressure Drill Head Rotation Rate 3200 R.P.M. 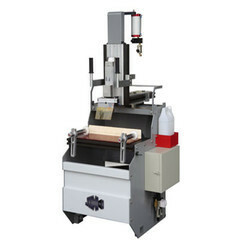 Looking for Punching Drilling and Milling Machine ?